In August we reported that Apples beta version of their High Sierra operating system was broken for all Java applications because it did not display the menubar properly. 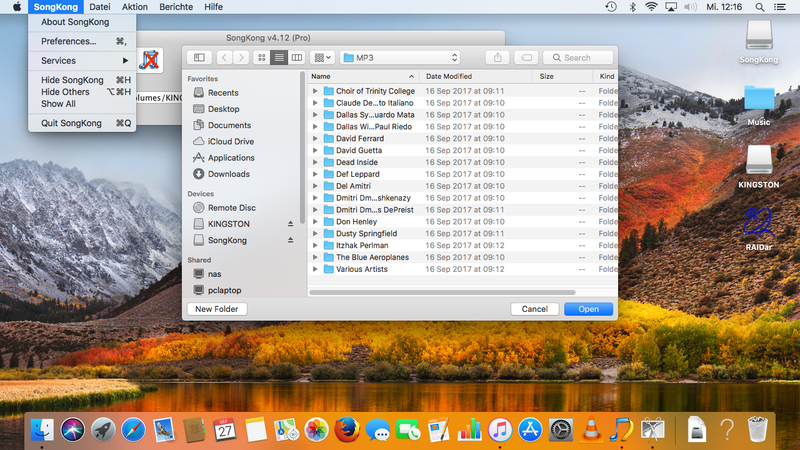 Update Nov 15th 2017, Apple have eventually fixed this with the OSX 13.1 release, and we have reverted the now unnecessary fix in SongKong 4.13, we will do the same thing with the next Jaikoz release. On Sunday 25th September High Sierra was officially released and the problem appeared to be resolved. However it only works if OSX preferred language is set to English otherwise the menubar does not work. Now start Jaikoz or SongKong, this should resolve the issue. Since we don't know when Apple will fix this we have now uploaded new versions of Jaikoz 9.2.0, SongKong 4.12 and SongKong for Melco 4.12 for mac users with the above workaround in place. So if you now just download Jaikoz or SongKong from http://www.jthink.net the Menu bar will continue to work. The version number has not changed so if you already had the latest version you will not get prompted to update. But we have updated the build date of these replacement versions to 27th of September 2017 - and you can see this in the About window. Below is an example showing SongKong in German with and without fix. Menu now works properly, but menu items under the SongKong menu are incorrectly in English and buttons in folder dialog are also in English. But other options in SongKong will correctly be displayed in German.